Princess is a wall sculpture handmade from recycled materials. Tire tread dress. Old earrings. Spoon arms. Totally unique. Totally Haitian. Signed by Artist Claude B (right hand spoon) and ships with photo of artist holding work. Singing Rooster is a member of the Fair Trade Federation and patron of Haitian arts. 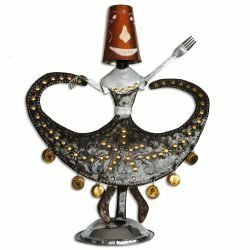 We LOVE one-of-a-kind metal sculptures from recycled materials; they’re unique, special, to be cherished. 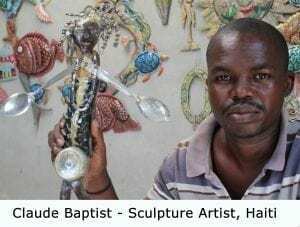 Haitian artists are not just creative, their art provides clean water and tuition for schools for their families (there is no public education in Haiti). 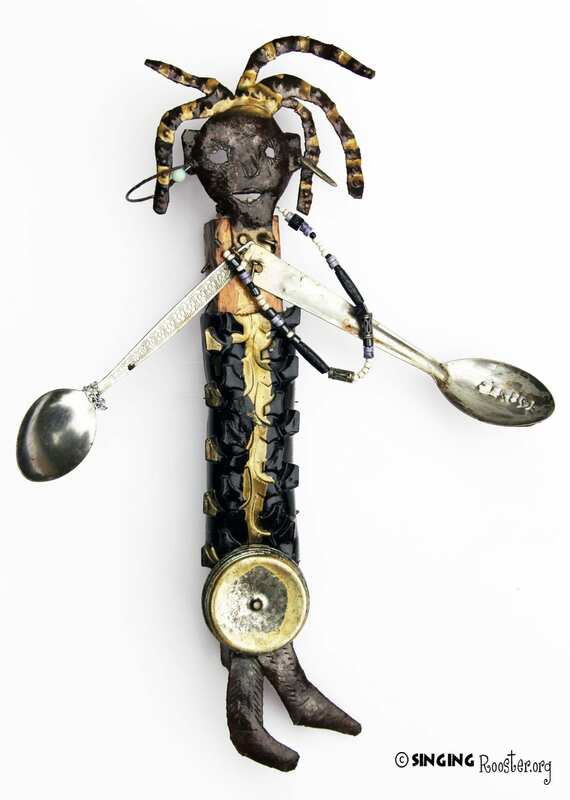 Buy #fairtrade #Haitianart online and support small producers through Singing Rooster.